Contact Information: Military ID: T-58 / 1:250,000 map sheet ND 48-1 airfield shown here: http://www.nexus.net/~911gfx/vietnam/maps/nd48-01/nd48_01a.html (FYI, the Air America site book for Thailand is incorrect, it shows "ND 49-1" for the map sheet, should be "ND 48-1."). 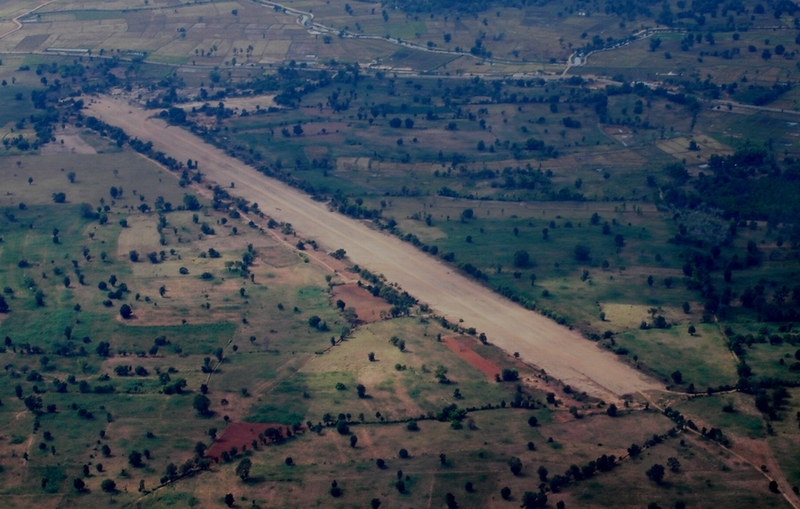 This is an RTAF airstrip. Remarks: Open to C-46, 350' sod overrun E end. Approach to rwy 23 over numerous 40' buildings, antennas and smoke stacks 1,500' from threshold, dry creek 600' from threshold. Status undetermined for C-130. 500'x35' laterite parking area E of runway. (Note: this "RTAF" field is just a bit west of Chayaphum town so looks to me like the one you have on your www site is this one: http://thaiflyingclub.com/linkairportchaiyaphum.html ). Thanks Mac for info.